The 2014 Chevrolet SS will be imported and sold in low volumes. DETROIT -- General Motors will limit distribution of the upcoming Chevrolet SS performance sedan to bigger markets and dealerships that have done well selling sports cars. About half of the nation's 3,000 Chevrolet dealerships will get to sell the 2014 SS. GM plans to launch the Australia-built rear-wheel-drive car late this year. The SS, powered by a 6.2-liter V-8 rated at 415 hp, will start at $44,470, including shipping. At least for the first model year, SS distribution will be concentrated in areas that have had strong sales of Chevy's other rwd sports cars, the Camaro and Corvette, says Russ Clark, Chevrolet's marketing director for performance cars. Those include large metro areas in the Northeast, Florida, California, Texas, Michigan and Illinois. Clark: SS will go to strong sports car dealers. "It makes sense to get them to the markets that have historically done well selling rear-wheel-drive performance cars," Clark says. In making its allocation plan, GM also analyzed geographic sales data for competing vehicles, which include the Ford Taurus SHO and some BMW 5-series models, a GM spokeswoman says. GM's SS allocation plans could upset some dealers, especially those who will be passed over for the October launch of the 2014 Corvette Stingray, one of the most highly anticipated rollouts for Chevy dealers in years. SS distribution will be limited mostly because the car will be imported and sold in low volumes. GM North America President Mark Reuss has said he would be pleased with annual sales of about 3,000 to 5,000. That's less than one-quarter of the expected sales of the new Corvette. Dealers who will get the SS expect a narrow but enthusiastic customer base. 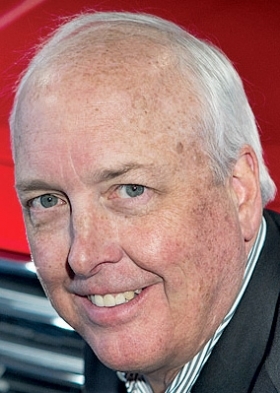 "It's a niche market for performance enthusiasts who want a little more space and don't want a two-door," says Tim Barnett, general manager at Steve Rayman Chevrolet in Smyrna, Ga., near Atlanta, one of the state's largest Chevy dealers. He says the dealership has ordered three of the 20 SS sedans that GM has allocated to the store for the 2014 model year. The SS will be Chevy's first rwd performance sedan since it stopped selling the Impala SS in 1996. It will be imported from GM Holden in Australia and built on the same platform as the Camaro, Holden's VF Commodore and the short-lived but well-received Pontiac G8, which GM sold for about 18 months before phasing out the brand in 2009.